Downstairs at The Sir John Balcombe, 21 Balcombe Street, NW1 6HE. Explore cycle routes through Southwark's villages, parks and (former) canals. Follow Quietway 2 all the way from Bloomsbury to Walthamstow. An interesting variety of townscapes and landscapes. 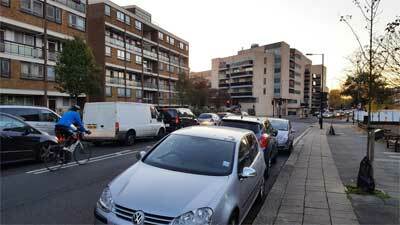 Brent Council has completed the construction of a segregated cycle route on Carlton Vale in south Kilburn, nicknamed the Bradley Wiggins Way. 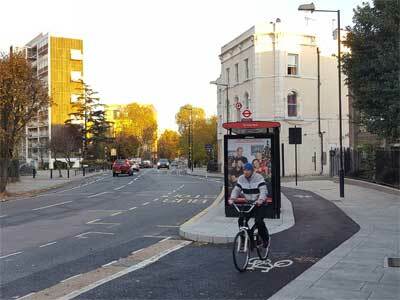 It features cycle tracks that are separated from general traffic by 'Orca' light segregation devices. We are impressed by the high quality of the route, which is suitable for cyclists of all ages and all abilities, and we are sure it will attract new people to cycling. Plans of the route. The east end of the route is at the Carlton Vale / Kilburn Park Road crossroads, and the high-quality cycle route ends abruptly as Carlton Vale crosses from Brent into Westminster (see photo below), passing Dibdin House where Sir Bradley Wiggins grew up. What plans does Westminster City Council have to continue this fitting tribute in our borough? None as far as we know, but feel free to raise it with your councillors if you live nearby. 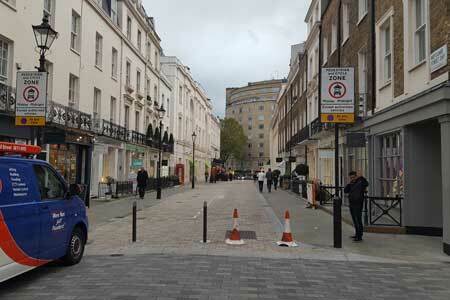 Motor vehicles have now been banned from Belgravia's Motcomb Street after midday,effectively creating a bike-only street. We have been encouraging the council to exempt cycles from new restrictions on vehicle movements. Sometimes, as here, we have been successful. Unfortunately you are still not allowed to cycle from west to east, against the one-way flow. 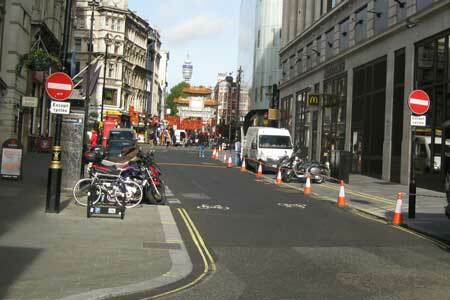 Contraflow cycling is now allowed in Whitcomb Street from Panton Street to Coventry Street. This creates a useful northbound route from Trafalgar Square to Soho and Fitzrovia. After midday you unfortunately still have to walk part of Wardour Street past Chinatown. 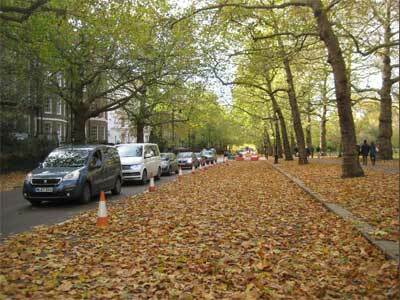 David Arditti's photo shows the missing link in the East-West Cycle Superhighway, somewhere under the layer of leaves. Work has been in progress for several months on filling the missing link between Great George Street and Constitution Hill. 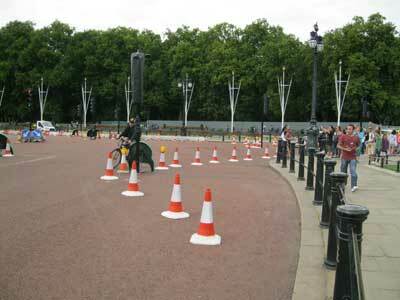 There will be a two-way cycle track along Birdcage Walk and Spur Road, opposite Buckingham Palace. The road markings and traffic signals appear to be in place, so opening cannot be far off. The road works for the Cycle Superhighway have unfortunately coincided with works on the Canada Gate, alongside the path connecting Constitution Hill with the Mall. Cyclists following that route have therefore had difficulties whether they have taken the path or the road. Following earlier consultation, the Mayor of London has now published more detailed proposals for the section between Oxford Circus and Selfridges. 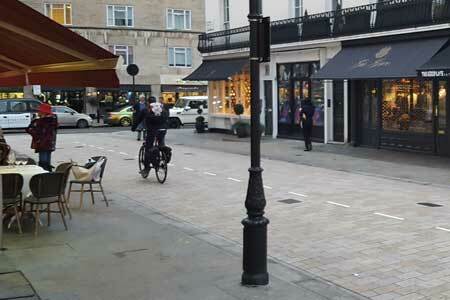 Proposals for the rest of the street – and for parallel cycle routes – will be published later. For further details, please see the current consultation, which closes on 17th December. See also the LCC's view. Great new additions to cycle facilities in Hyde Park: three stands for repair/air/water, for any passing cyclist to use, made by Cyclehoop. The maintenance stand has lots of tools on retractable wire, that look as if they cover all eventualities. 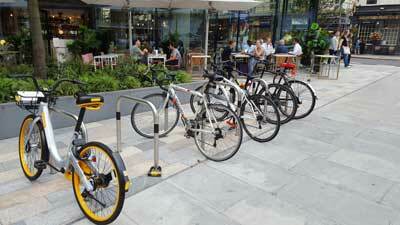 LCC supports the provision of cycle hire for realising the potential to cycle. 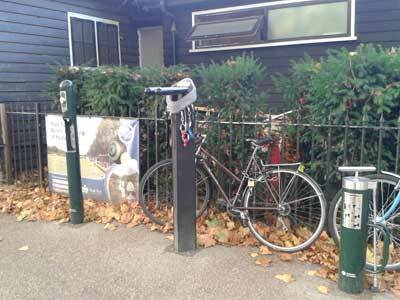 The use of public cycle parking to store hire bikes that are not currently on hire has recently come to public attention. We note that the relevant authorities have few powers to remove hire bikes from public cycle parking and that this parking is a finite resource. We therefore call on cycle hire operators to engage in dialogue with councils to resolve the impact of their operations on existing but constrained public cycle parking and provide additional infrastructure. LCC calls on the Mayor of London to draw a line in the sand and start withholding funding from Westminster schemes that do not make adequate provision for cycling.